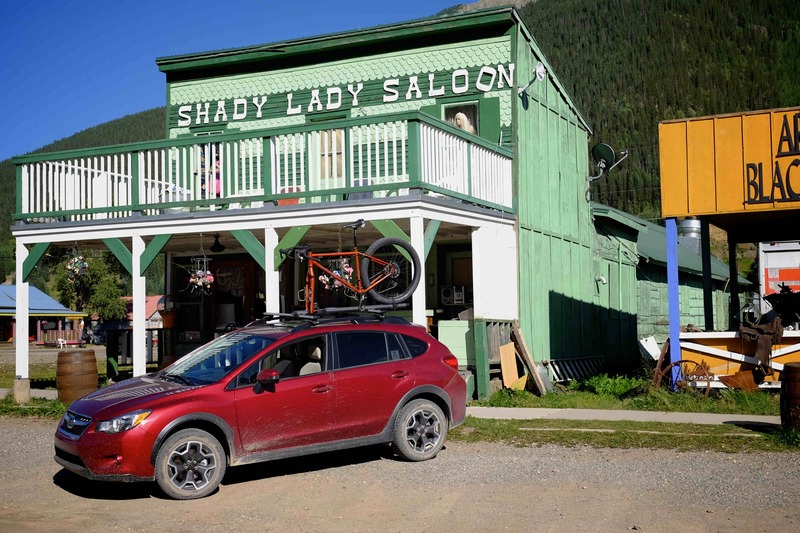 Travel to the far ends of many remote roads and you will often find––a Subaru. 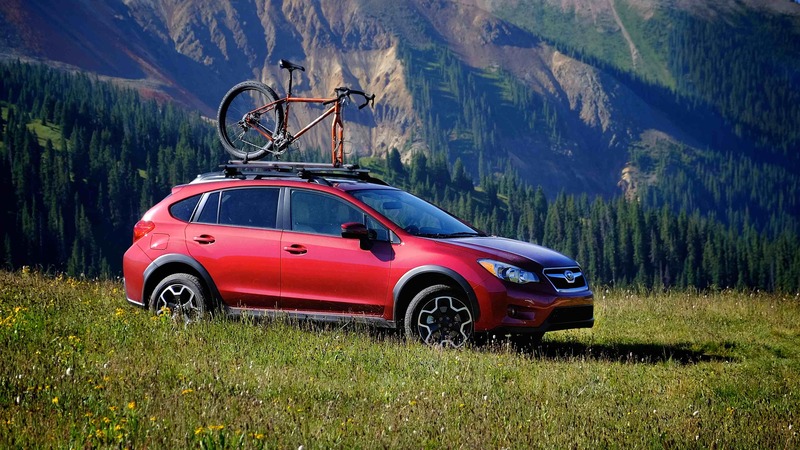 It has as much to do with the spirit of the typical Subaru driver as it does with the off-road aptitude of the vehicle itself. The undisputed king of the trailhead for decades, the ever present Subaru can be found portaging skis, kayaks, bikes, and all sorts of outdoor kit. 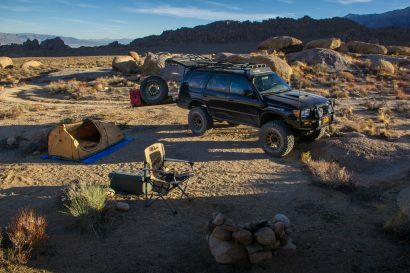 They are, and always have been, vehicles for adventurous people. Earlier this spring I had the opportunity to test Subaru’s flagship wagon, the Outback, and it was an eye opening experience. With its powerful 6-cylinder engine, leather wrapped interior and impressive 8.7-inches of ground clearance, it was a pleasure to drive over every surface I encountered. 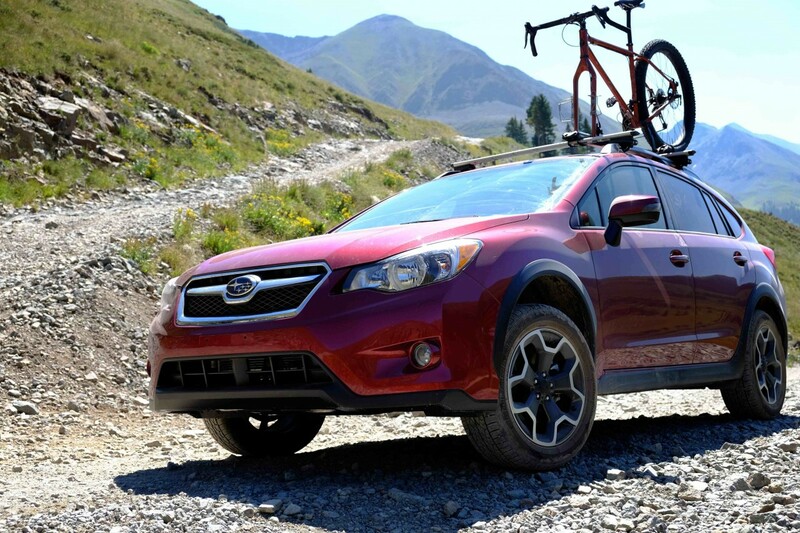 With a distinct bias towards the pavement, I wondered how Subaru’s newest platform, the Crosstrek, would perform off-road. 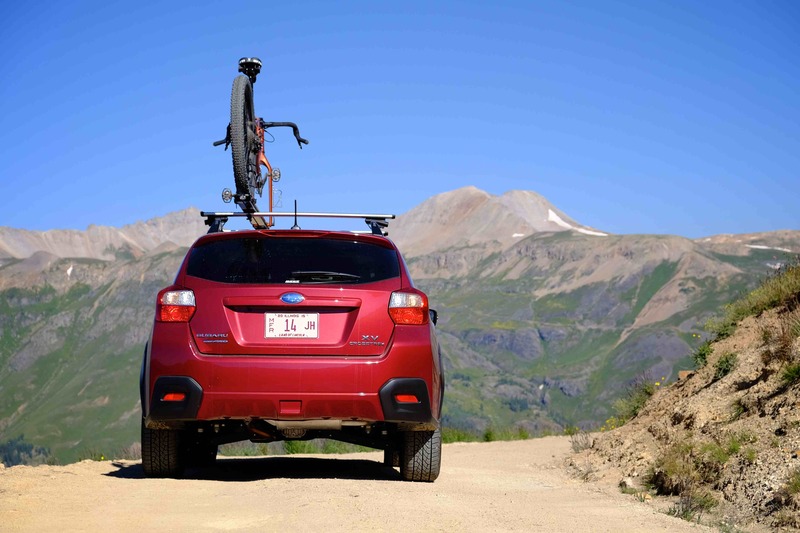 Not prone to just test a vehicle by taking in on a few laps around town, I loaded up a brand new 2015 XV Crosstrek 2.0i Limited and headed for the big peaks and bumpy trails of southern Colorado. The XV Crosstrek was introduced in 2012 as a sporty alternative to the brand’s popular, but somewhat pedestrian Forester model. With progressive styling elements and an approachable entry price, it is aimed at the growing market of younger buyers. This is a space with heavy competition which now includes the Jeep Renegade and other small wagons and SUVs. 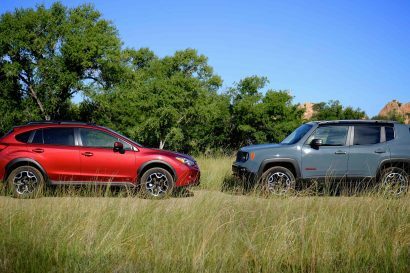 Similar to the Outback, the Crosstrek has a surprising 8.7-inches of ground clearance, but unlike its bigger sibling, has a shorter 103.7-inch wheelbase. With a much smaller front overhang and the rear wheels placed nearly all the way at the back of the chassis, the approach and departure angles are vastly improved over the Outback. 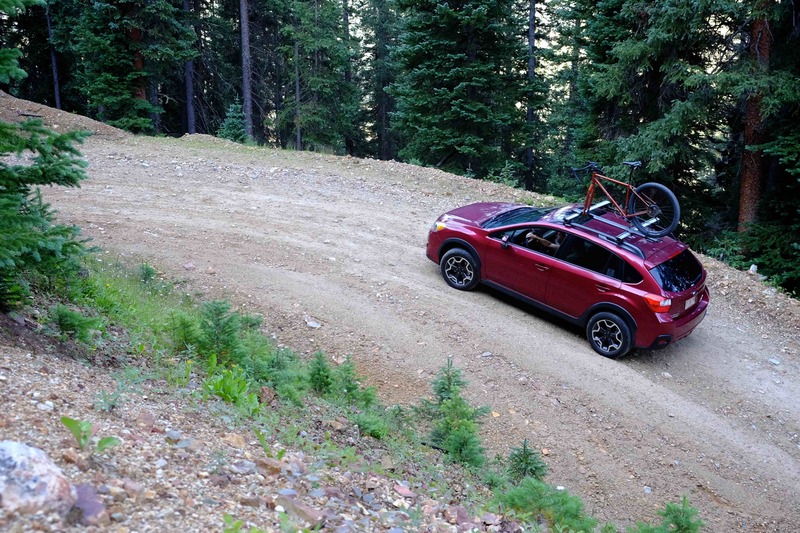 The turning radius (34.8-feet) is extremely tight and allows the Crosstrek to pick its way around obstacles other vehicles have to attack head on. Under the hood is a 2.0-liter aluminum-alloy 16-valve Subaru Boxer engine with Dual Active Valve Control. Tiny as it is, it produces 148 hp with 145 pound-feet of torque at 4,200 rpm. Those are not overly impressive digits, but they are sufficient for the needs of most drivers. The Crosstrek isn’t a rocket ship, but it does scoot along in traffic swiftly enough to not feel like it’s a liability. What it lacks in oomph it more than makes up for it with fuel efficiency and range. According to the window sticker, the Crosstrek is estimated to achieve 26 mpg in town and 34 mpg on the highway. Over the course of 1,300 miles of mixed driving on and off the pavement, I believe those numbers are decidedly conservative. With a light foot on the highway, I was able to squeeze over 36 mpg out of the first two tanks of gas. With its large 15.9 gallon tank, I made the 450 mile trip from Prescott, Arizona to Durango, Colorado on a single tank of gas with a gallon to spare. Much like the Outback I tested earlier in the year, the Crosstrek has the feel of a refined car, at least at this modest price point. Gone are the days when Subarus felt like they were crafted of thin layers of tin. 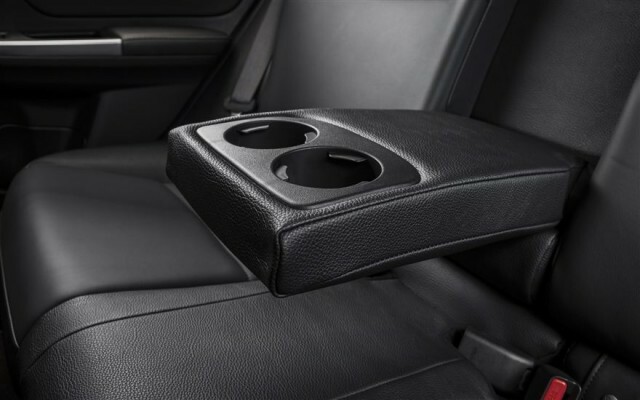 The doors no longer close with a wimpy clang, but are solid and demonstrate that Subaru has elevated their game. Inside, soft-touch materials used in the trim create a comfortable space, again belying the sub $30,000 asking price. 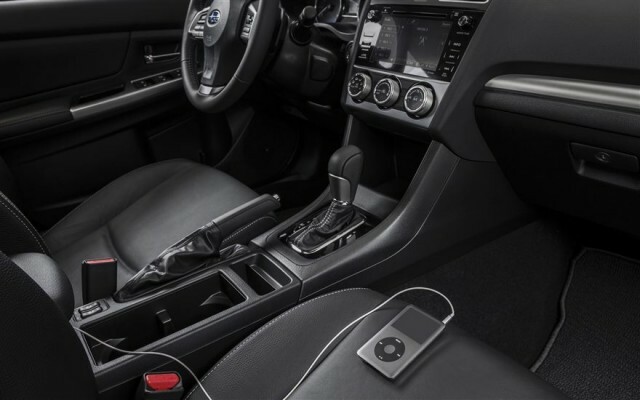 Some critics have castigated the Crosstrek as having a cheap interior, but I find that to be untrue. This particular car was wrapped in leather and featured Subaru’s Starlink 7-inch navigation and entertainment system as well as their impressive EyeSight Driver-Assist System. The latter might be more technology than I need, but I don’t find having it on board to be a detriment. Other amenities included an electric sun roof, roof rack rails, and rubberized mats for the floor and cargo area. All of the above brought the final sticker price to a respectable $28,521. 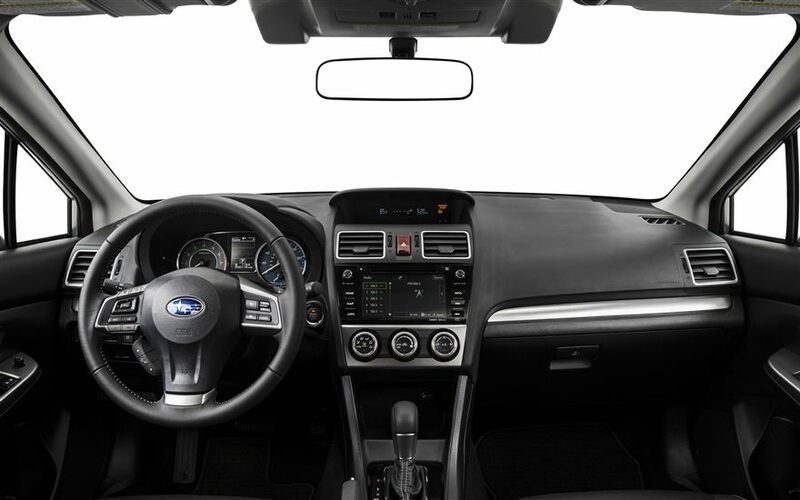 The interior of the Crosstrek is well appointed and comfortable. I particularly like the adaptive cruise control and premium sound system. It helps the miles melt away. As I knew it would, the Crosstrek provided a comfortable ride quality on the pavement. Nimble on twisty mountain roads, it also tracked straight and true on long open sections of Interstate with little need for continuous steering inputs. Even with a roof rack and bicycle mounted up top, wind noise was minimal as were audible intrusions from the road. The Crosstrek is if anything, a fantastic road tripper. The two eight hour driving sessions I folded into the week were comfortable and the miles were dispatched quickly at cruising speeds between 70-75mph with plenty of velocity left to be had. If I have a complaint to levy, it is with the CVT transmission. When rolling over mountain passes at highway speed, the CVT whined loudly, the tachometer needle rising and falling almost randomly as the transmission searched for respite. It’s a loud process with a cacophony of engine and transmission noises that are at best annoying, at worst almost concerning. My other niggle would be with the addition of paddle shifters behind the steering wheel. Employing the paddle shifters in manual mode is anticlimactic and only offers the driver vague and mushy transitions from “gear to gear.” As much fun as they were in the 3.6-liter Outback, the paddle shifters in the Crosstrek seem pointless. The question on everyone’s mind, at least within our demographic, is how does it do off-road? In an effort to find a definitive answer, I decided to pilot the Crosstrek around the Alpine Loop outside of Silverton, Colorado. This is not a difficult route, one I would classify as a perfect Subaru road. 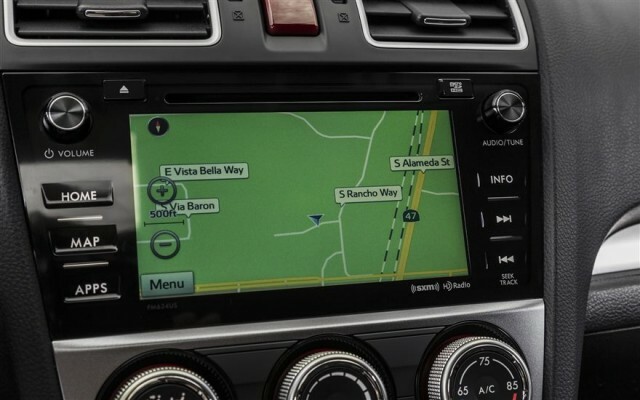 This is not to say it doesn’t have a few technical sections, a few of which put the Crosstrek right at its limits. 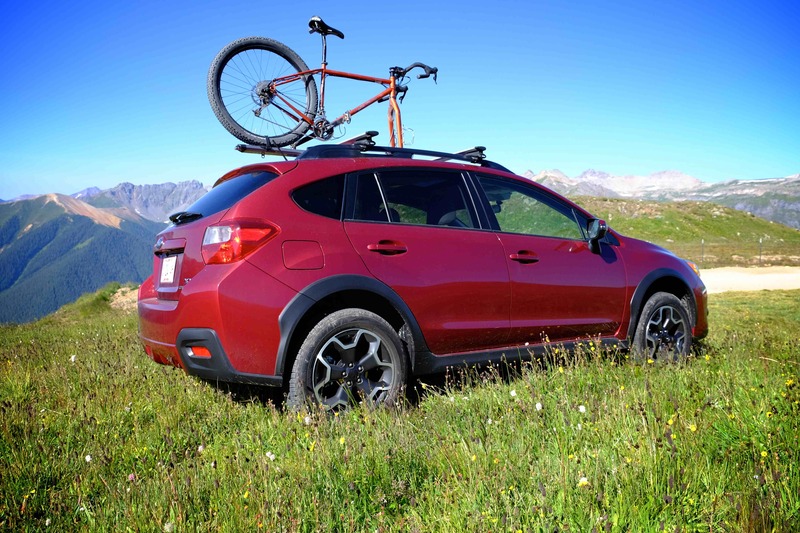 With just a quick walk around the vehicle, the obvious challenges are presented with the 18.0 degree approach angle and the long snout designed to give the Crosstrek favorable aerodynamics. The 27.7 degree departure angle is a saving grace, but the break-over was my biggest concern, and in one obstacle proved to be the aspect of the car most likely to be damaged. Fortunately, I managed to navigate the entire loop over Cinnamon and Engineer Passes without so much as a single issue. Only the rubber touched the trail, despite many an onlooker in a rented Jeep telling me I was sure to destroy the Suby. Images below shot with a Sony 4K Action Cam. Read more about that camera [Here]. 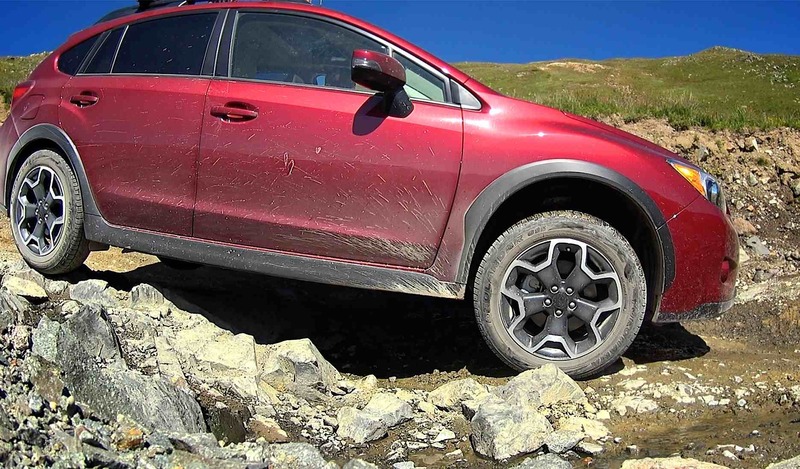 For what it is, a car, the ground clearance is impressive and gives the Crosstrek access to places that would stop other cars dead in their tracks. Image shot with a Sony 4K Action Cam. Read more about that camera [Here]. 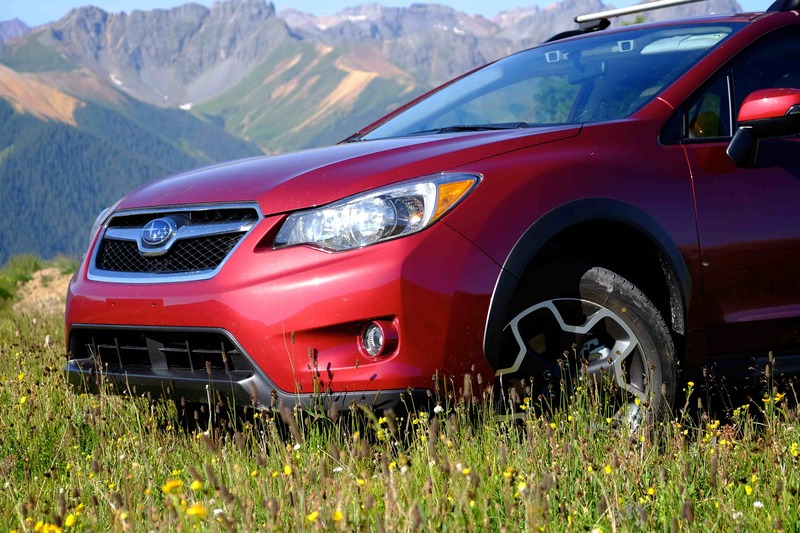 Working in the Crosstrek’s favor is its compact size and maneuverability. I was able to wiggle around many rocks and holes, finding multiple lines to choose from. 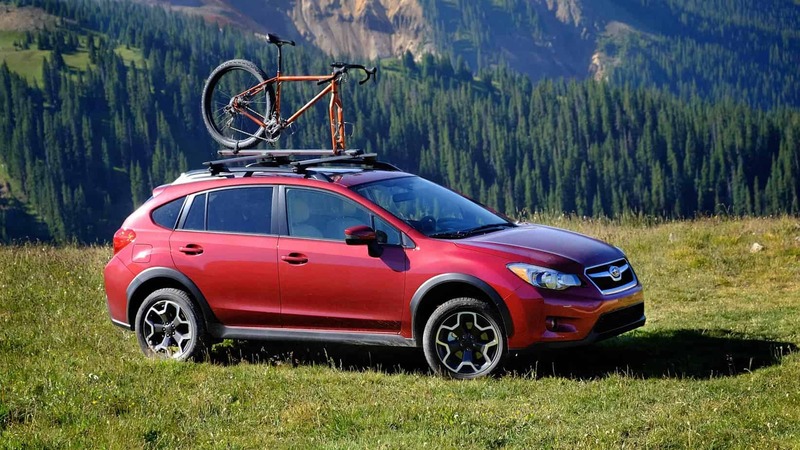 Another strong aspect of the Crosstrek is the Symetrical All Wheel Drive system which affords the vehicle superb traction in nearly every setting. And with that, the positives are exhausted and off-roading a Crosstrek becomes more about managing the limitations of the platform. 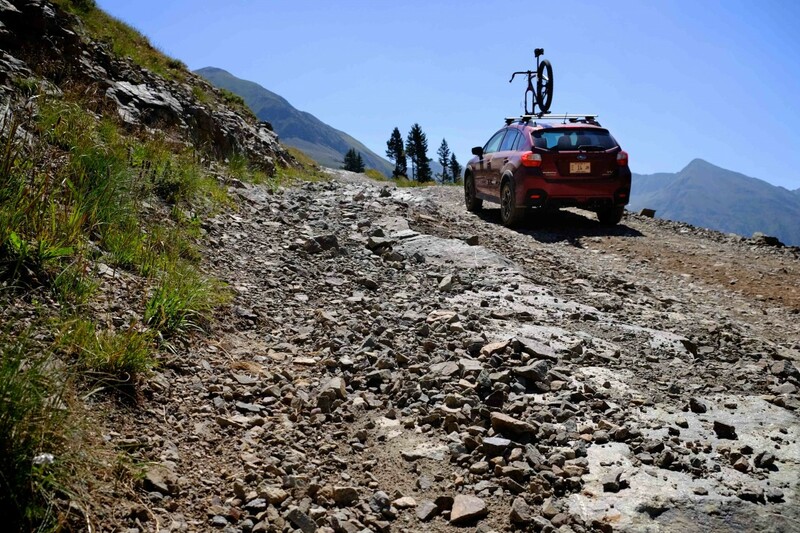 Although few trails in the US reach the heights of the Alpine Loop, the CVT transmission protested repeatedly when trying to roll up and over the two 12,500 foot high points on the route. At one moment the transmission temp light flickered on briefly. 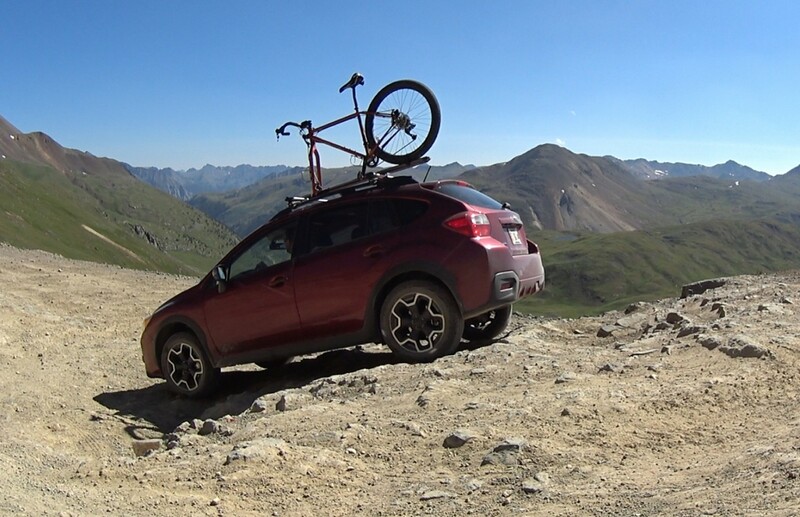 I wondered if the CVT would permit the car to reach the summit, but with some sympathy for the car and a little patience, it did make it up and over. 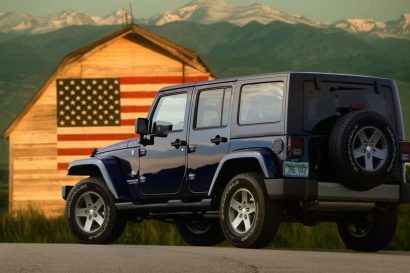 The lack of a low range, or even a virtual low range as used by Jeep, would have been a benefit. It also goes without saying that this is a car, and as such has limited suspension travel. As comfortable and compliant as it is, even small dips and bumps had a wheel, or even two, airborne. Getting the wheels safely back on the ground is the key, particularly as to not damage the unprotected lower aspect of the vehicle. Another minor consideration when traversing rugged terrain is the small amount of tire volume wrapped around the rims. All in all, the off-road performance of the Crosstrek not only surprised me, but the many other travelers I encountered. 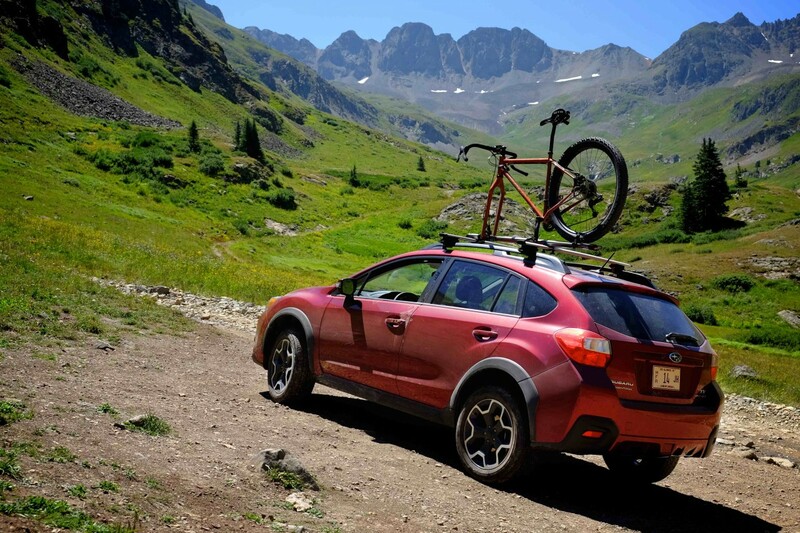 I don’t know that I would make a habit of pushing a Crosstrek to these limits with regularity, but for the occasional romp to a remote camp or trailhead, this little Suby will get you there––and back. For a sport-inspired vehicle designed to offer a reasonable amount of backcountry access, I think Subaru built a car worthy of their storied reputation. Expect to see Crosstreks at the end of roads you wouldn’t think possible––for a car. It’s important to point out the other elements introduced into the test. Not only did I add a bike to the roof, I had the radio tuned to the Grateful Dead channel. I did much of the driving in Birkenstocks and had a bag of trail mix in easy reach at all time. I may have even stopped to hug a tree or two. 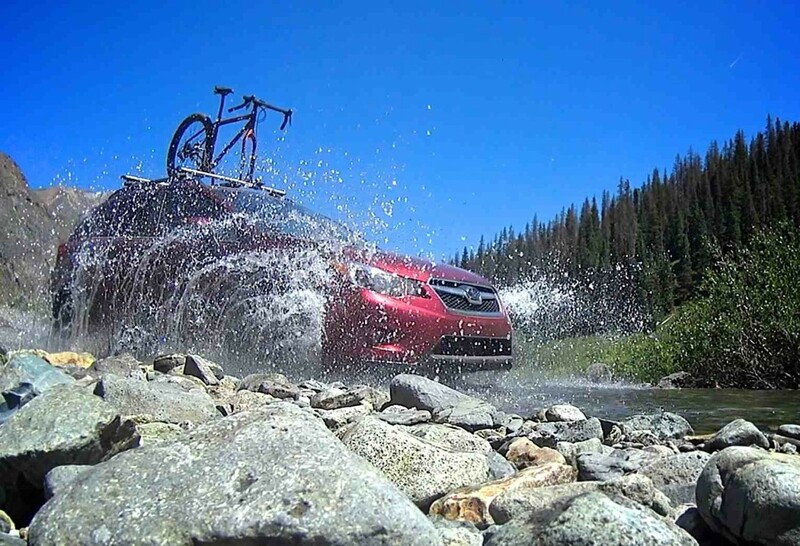 All part of the Subaru experience.